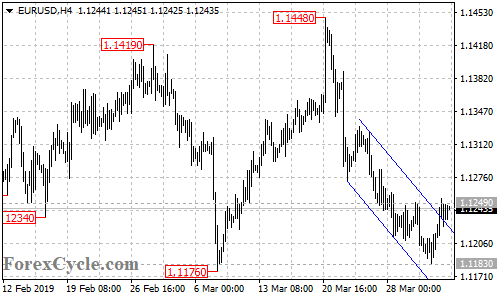 EURUSD broke above the bearish price channel on the 4-hour chart, suggesting that the downside movement from 1.1448 had completed at 1.1183 already. Further rally could be expected in the coming days and next target would be at 1.1300 area. Near term support is at 1.1220, below this level could trigger another fall to test 1.1176 support.